Connect with friends over warm and welcoming fondue. Cheese fondue and beer are best friends! Link to Perfect Pairings Cheese fondue and beer are best friends! See how you can make any celebration even better! Link to Speaking of Celebrating See how you can make any celebration even better! 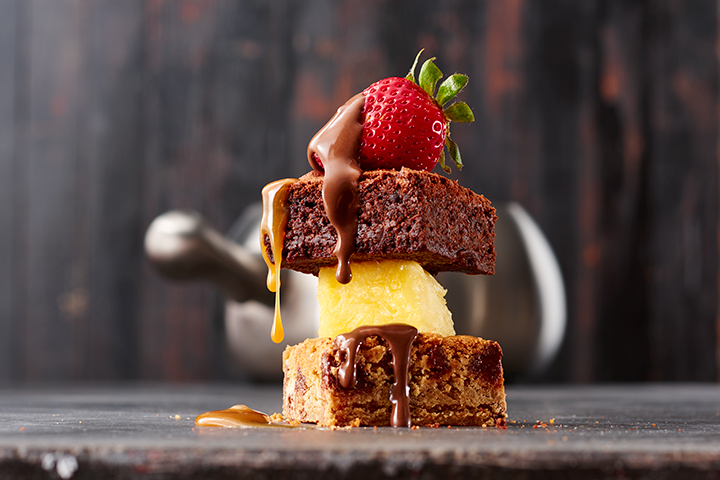 Chocolate fondue and strawberries were made for each other! Link to Another Perfect Pairing Chocolate fondue and strawberries were made for each other! Bold flavors & breathtaking service in Palm Beach Gardens, Florida. With a short hop off US 1, The Melting Pot in Palm Beach Gardens is sure to make your list of favorite restaurants. And it happens before you know it, with our phenomenal fondue recipes. Juicy meats, seasoned vegetables, fruit so fresh you can taste the dew—we aim to melt your heart after you dip these treats into the pot. With our location along the Atlantic coast, our seafood is some of the freshest you’ll find in Florida. With our user-friendly menu, diners can mix-and-match their favorite ingredients to create new blends and flavors. That way, romantic dinners, important family gatherings and vital business meetings are sure to make great memories. Keep your guests happy at our tables. CLOSED annually in Observance of Independence Day, Labor Day, Thanksgiving, Christmas, and Super Bowl!